Award-winning Canadian author Gabriella Goliger has written Eva Salomon’s War (Bedazzled Ink Publishing, 2018), an intriguing novel set between the rise of the German Nazi state and the founding of the state of Israel – two complex historical phenomena whose aftershocks we are still experiencing. 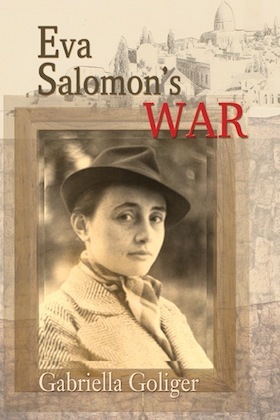 But, for Eva Salomon, those huge events are mainly engines moving her own story forward from timid German-Jewish adolescent to courageous Israeli young woman. 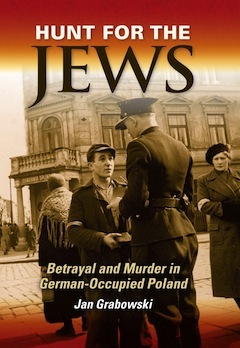 The novel takes us through many intricacies of the competing historical strands that form the background of Eva’s life. Readers familiar with various bits and pieces of the history can connect the dots through her eyes. 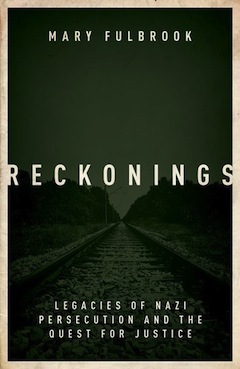 Written as a first-person bildungsroman, the book opens as the Nazis close in on the Jews, who are wondering which of the many possible responses to embrace. Should they stay and resist? Stay, pray and keep their heads down? Should they emigrate, and, if so, where? Should they join the movement to build a Zionist workers’ state in Palestine? So many choices, so many unknowns, and so much peril attached to each decision. Eva’s beloved older sister, Liesel, immigrates to a socialist kibbutz in the Galilee. 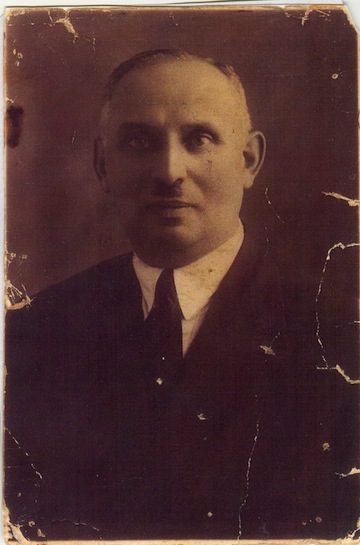 Sixteen-year-old Eva and her embittered, widowed father migrate to Tel Aviv. We know what happens to the relatives who feel too old to make the trip. The character of Eva is loosely based on Goliger’s own aunt. Letters between Eva and Liesel give us many illustrative details of Jewish life in Palestine in those years. In Breslau, they had enjoyed middle-class lives. In Palestine, they quickly have to learn working-class skills and they have to adapt to their shabby new realities among people with no time for pity or introspection. Kibbutz life is physically harsh but relieved by the high level of ideological commitment between the comrades: “I sleep in a tent and the food is plain, but I never have to think about where my next meal is coming from. Everything is communal and allotted to me, down to my shoes and socks.” Eva flees the misery of life in her father’s tiny flat and finds a place to live with Malka, a Hungarian Jewish seamstress who helps her accommodate to her reduced circumstances. Malka transforms Eva from a ragged miserable waif to a well-dressed young woman who can make her way in the vibrant, uncertain Jewish Palestinian world. Eva learns the meaning of “ein breirah” – no choice – a theme resonating not only throughout the novel but throughout the decades to the present day as one formative part of Israeli Jewish culture. Eva finds work as an ozerit (cleaning lady) and starts putting together a life of sorts. She finds a music shop that affords her a bit of pleasure – “my refuge, my paradise” – phonograph records feeding her delight in classical music and her longing for romance. Fittingly, it is where she meets Constable Duncan Rees of His Majesty’s Palestine Police. Their romance encapsulates many conflicting layers of identity, culture, desire and belonging. Throughout the novel, most of the characters are rent by doubts and competing loyalties. Only the fanatics of all stripes know certainty. The portrayal of Eva’s unbending Orthodox father, seemingly bereft of feeling for his wayward daughter, I found puzzling. We never see anything through his eyes, never understand his inner realities. Eva is at war with her father, with all rigid religious and political belief systems, with her situation of loving the wrong person, and with her own competing claims of duty. Her personal war intersects with the fighting in Europe, the fighting between Arabs and Jews, the infighting between the various Zionist factions and, crucially, with the growing resistance to the British presence in Palestine. Eva is a Jewish refugee. 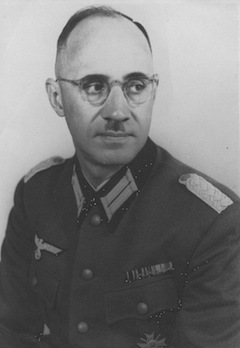 Duncan is charged with upholding British laws controlling Jewish immigrants. Despite the growing cultural-personal-political tensions, Eva enjoys their romance. She experiences pleasure and the delights of physical intimacy, which she keeps secret as much as possible. “The more he was my secret, the tighter, I felt, was our bond.” Their emotional intimacy is harder to sustain. One feels it can’t last and I wondered throughout how Goliger was going to handle it (no spoiler here). The British White Paper on Palestine brings it all to a head. Tensions explode into violence all over the land, from many different directions, aimed at “traitors” to all the intersecting causes. For each faction, “we” are highly individuated and the others are an undifferentiated “they.” Eva, essentially an apolitical person, is helplessly caught up in the sectarian brutality. One can’t help but read the novel through the prism of the tragic unfolding of events since 1948. Goliger vividly illustrates the human urgencies propelling Arabs and Jews in all directions, and the emotional realities behind all the ideologies. Deborah Yaffe lives in Victoria, where she formerly taught in the women’s studies department of the University of Victoria. An active secular Jewish feminist since reading Elana Dykewomon and Irena Klepfisz in the 1980s, she is grateful for the many Israeli individuals and organizations working against Jewish persecution of Arab Israelis and Palestinians. 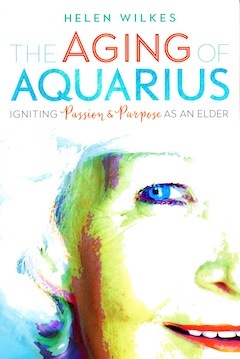 At risk of universalizing a book with a particular theme, The Aging of Aquarius: Igniting Passion and Purpose as an Elder is valuable not just for those who are retired or pondering it – though it has plenty of age-specific content for that demographic. At root, it is a book about living well, and that makes it a valuable volume for people of any age. Author Helen Wilkes, a Vancouverite and member of the Or Shalom community, has penned an optimistic, uplifting book. But let that not deceive the reader, she warns early on, into misjudging who she is. 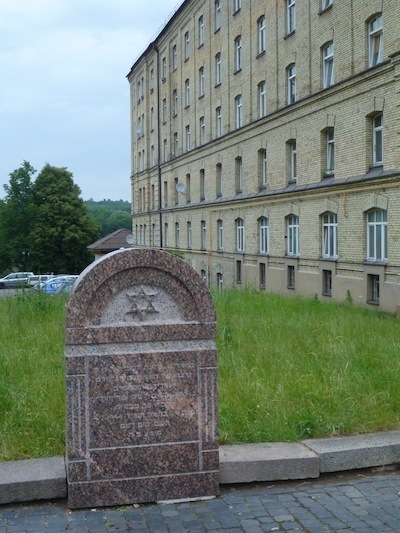 She talks about being born to Jewish shopkeepers in a village in the Sudetenland, part of Czechoslovakia that was among the first places occupied by the Nazis in advance of the Second World War. “Our village fell to Hitler when I was still in diapers and, as a consequence, I have spent a lifetime with fear and negativity as my constant companions,” she writes. Her childhood was lonely and her parents uncommunicative. Her marriage ended when her daughters were 3 and 4 years old. Yet Wilkes pivots to optimism. 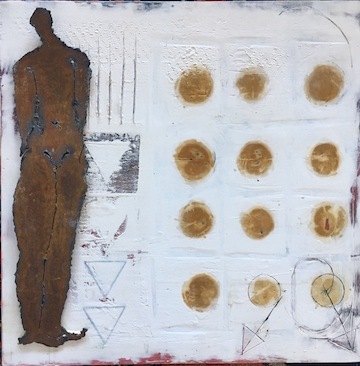 “If, despite a childhood in the shadow of the Holocaust, and if, despite a lifetime of experiencing myself as an outsider with little sense of self-worth, I have found cause to hold my head high and to face the future with optimism in my retirement years, there is reason for others to hope,” she writes. This is not a handbook on aging so much as an illustration by example of how to do it right. She does acknowledge, though, that a person has to make the effort to age well. Each section of her book ends with ideas and actions that might help on the path to success. Finding joy in the simple things – again, good advice for people of any age – is one of her key findings. She talks about an eye-opening trip to China, where she went as a chaperone to her 10-year-old twin grandsons. Having heard of the panoply of human rights abuses in China, she was shocked to see an English-language newspaper with a headline asking “How dare they?” above an article cataloguing racism and human rights abuses in the United States and other “free world” countries. Having heard about China’s reputation as a major contributor to global warming, she was pleased to see solar panels and wind turbines throughout the country. The rapid transit system they used to get everywhere contrasted with what she is familiar with in Vancouver. Wilkes acknowledges that not everyone can travel to foreign countries and says there are ways to experience some of that diversity without getting on a plane. “Next week, I anticipate attending a Hindu baby-naming ceremony to which I’ve been invited. Last week, I was invited for dinner at the home of a Muslim family from Pakistan. Being at their table, sharing our limited knowledge of one another’s culture, these to me are opportunities for much more than just personal enjoyment or emotional enrichment. They are occasions where it is possible to create a gram of kindness in a world where political and regional and religious differences tend to divide rather than link. I never fail to feel uplifted by experiencing our common humanity writ large. When I can no longer travel, I hope I will still reach out to people from other lands as graciously as people elsewhere have reached out to me,” she writes. She speaks about another trip – this one to Berlin, for the launch of the German translation of her previous book, Letters from the Lost: A Memoir of Discovery, which explored her survivor’s guilt as she discovered, in adulthood, a cache of letters from family left behind in Czechoslovakia after she and her parents fled just after Nazi occupation of the Sudetenland. Since so many people’s identities are entwined with their profession, she writes, moving into retirement, for many people, can demand a complete reinvention of self. She proceeds to ask a litany of questions about what identity means, and even, as a member of a particular culture, what culture means. “Such questions and many more continue to haunt me as I age,” she writes. And, while she turns to books for answers, the process of asking questions may be an end in itself when addressing the existential issues the book confronts. Among everything else it is, The Aging of Aquarius is also a very Jewish memoir. Both in her personal history and in the theological exploration she discusses near the end of it, her Jewish identity and experiences play central roles in the story. At a book launch at Or Shalom on Nov. 4, Wilkes said she approaches the later years of life with many unanswered questions. But, as difficult as finding answers may be, she suggested responding affirmatively.